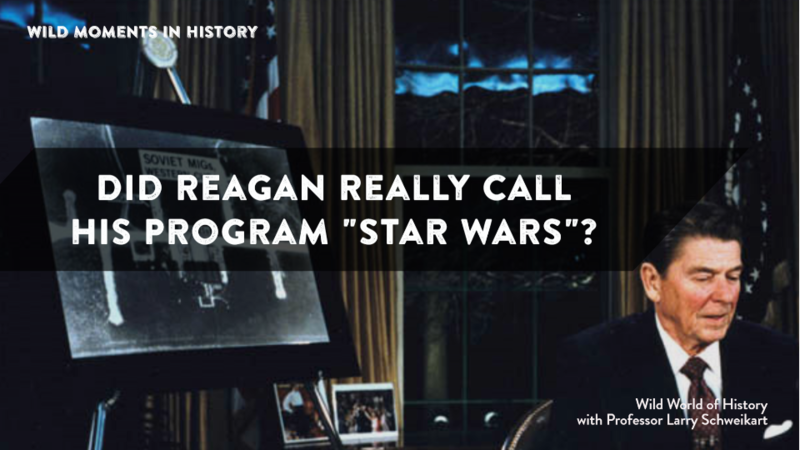 Did you know that Ronald Reagan never used the words “lasers” or even “space” in his famous “Star Wars” speech? Ronald Reagan had spent a great deal of time with his scientific and defense advisors before his 1983 defense speech in which, at the end (and to the surprise of many) he announced a new research and engineering program called the Strategic Defense Initiative (SDI). A hostile media, anxious to nip SDI in the bud (because they clearly understood the threat it posed to the USSR) called the program “Star Wars” to ridicule and discredit it. Reagan hated the term, but it worked to his advantage. Just 20 years earlier, an effective way to ridicule futuristic ideas was to refer to them as “Buck Rogers”-like. Buck Rogers was a comic book in which people flew around in space on jet-ski-like devices that and wielding ray guns. But since then, Americans had seen a man walk on the moon, witnessed regular shuttle launches, watched the development of lasers, and that most Americans had seen the box-office blockbuster “Star Wars.” Not only were new technologies not “Buck Rogers-ish,” but in they were becoming common. And more important, people associated the Evil Emperor with the Soviet dictators, and that meant Reagan . . . was Luke! Like Luke, Reagan was always optimistic and unafraid to try something different, and above all, he had a deep faith that the Soviet Union could be beaten. Contrary to many historians’ claims, Reagan did not think that the technology would yield anything in the near future, and he was surprised by a report in the last two years of his presidency that showed deployment of functioning anti-missile systems using SDI technology might occur as soon as 1993! But Reagan never touted such early dates, and always emphasized this was a research and development program. Nor was he wedded to space-based systems: rather his charge to America’s scientific community was to find a way to defeat Intercontinental Ballistic Missiles, by any means possible. For more, see Larry Schweikart, Reagan: The American President.